When hunting public lands, a common occurrence is to have other hunters come into the area where you're hunting and want to hunt there, because they can tell by all the shooting that they hear that you’ve found the ducks. I've found that the best approach to take when this happens is to kill the other hunters with kindness, and be extremely cordial to them. The first question that other people will ask when they come into our hole and want to hunt there is, “How many people do you have hunting here with you?” If we have a large group with us, we say, “Hey, guys, we feel unsafe, if y’all hunt here in the same hole where we’re hunting.” If there's not very many other hunters and we have room for them to hunt, we’ll invite them to hunt with us. 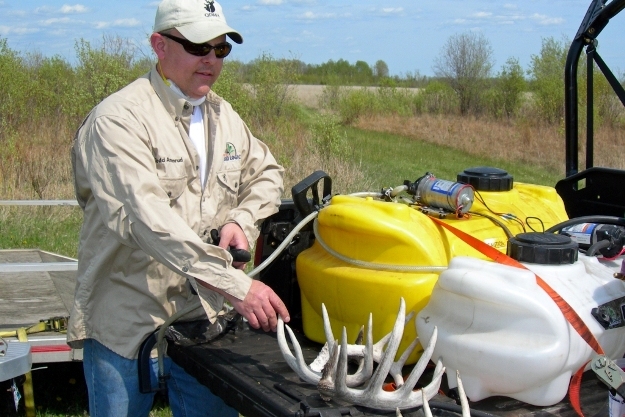 The main key to remember here is that you're hunting on public land. So, those hunters have the right to hunt anywhere they want to hunt. 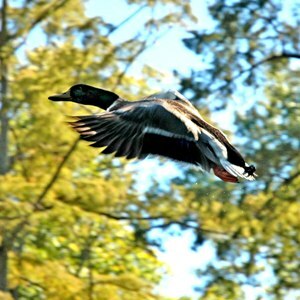 Morally and ethically getting to a good duck hole is on a first-come first-serve basis. In other words, whoever gets to the spot first should have the right to hunt in that spot undisturbed. However, legally, that’s not the rule. When you hunt public land, anyone can hunt wherever they want to hunt, whenever they want to hunt, as long as they're hunting during legal shooting hours. We have had several instances when we’ve hunted with other people we haven’t invited to hunt with us in the spots we’ve found. 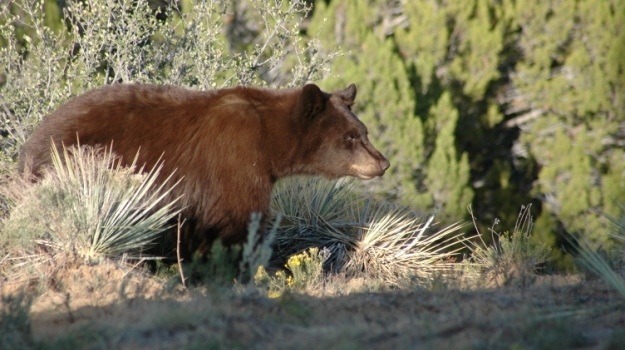 When that happens and hunters come up, we usually say, “We’d rather you not hunt here, because we’re already here and set-up.” They may say, “Well, if you don’t mind, we’re going to hunt here.” This is where being courteous and kind can prevent some confrontations. 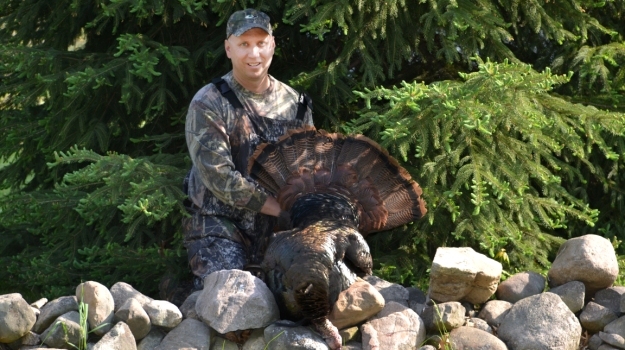 If they decide to hunt with us, we usually tell them who will call the shot. Then, we all can take more ducks, and these hunters usually will go along with our hunt plan. 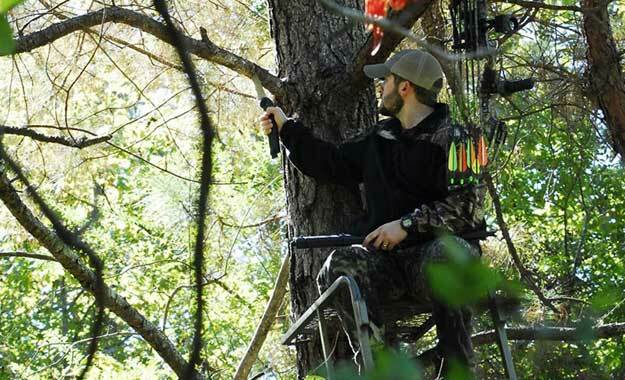 Most of the places we hunt in Arkansas may only be from shin-to-waist deep. We've learned that most ducks usually want to be in the shallower water, because that’s the freshest, most-recent water that’s come into that public hunting area. For some reason, the ducks usually have a sixth sense that tells them where the shallower water is located. People also want to know, “Why are you wearing Mossy Oak Bottomland camouflage? That’s the oldest pattern that Mossy Oak has produced.” Bottomland is tried and true, has stood the test of time and is just as effective now as it was when Mossy Oak first introduced it. 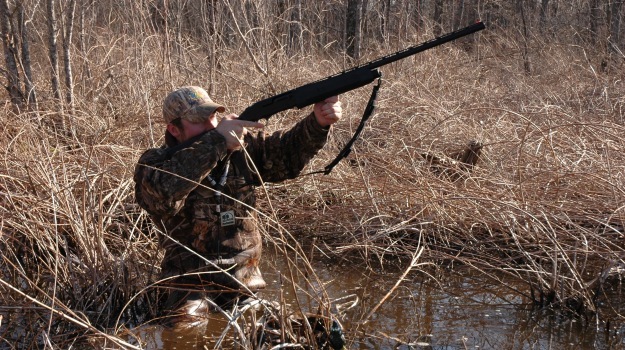 Most of the time, when we walk in or wade in to a duck-hunting spot, we’ll be standing beside or behind a tree. We've found that Bottomland just looks like a tree and hides us very well. I've never been big on wearing face paint, face masks or gloves. I don’t wear gloves because gloves muffle the sound of my duck calls. The way I'm able to be successful without wearing a mask or face paint is that I’m always hiding in the shadow of a tree or a bush. One of the things that I do before a hunt starts is to wade out into the water a little farther than the other hunters in our group. I look back at all the other hunters to see if I can see them. If I see a hunter I believe the ducks will see, I suggest that they stand behind the tree when the ducks are coming in and not look up until we call the shot. Or, if that is where they want to hunt from, I suggest that they may want to consider wearing a face mask and/or gloves. 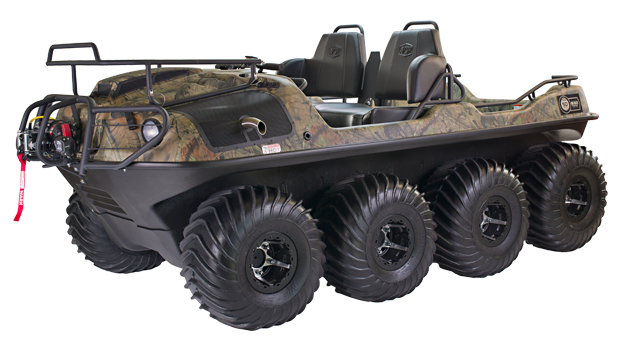 To celebrate the brand’s 50th anniversary, ARGO is excited to launch the most exclusive vehicle yet to its Wilderness Series XTV lineup – a special ‘ARGO 50th Anniversary Limited Edition 2017 Avenger 8x8 Hunt Master.’ Only 50 of the distinct commemorative vehicles will be produced. I'm often asked, “Why do you still use the push button call?” I use the push button call quite a bit, because it’s really easy to use. All you have to do is push the button, and the little box will make a yelp. My push button call has a really-raspy yelp. Too, making a bad call with the push button is difficult.